Dr. Stanley has started the careers of Ricky Skaggs, Keith Whitley, Larry Sparks, Charlie Sizemore, and many others. His voice was the distinctive sound behind the seven-million-selling O Brother, Where Art Thou? soundtrack. In his historic career, Ralph Stanley has won virtually every honor America has to offer its artists. Ralph has won three Grammy awards, received the prestigious 'National Medal of the Arts', was the first performer to be inducted into the Grand Ole Opry in the 21st Century, and he and Carter are members of the International Bluegrass Music Hall of Fame. Although Mr. Stanley has proudly served the mountain music community longer than any of his pioneering friends, he has had to turn down offers for one last visit to Europe. Primarily due to his age and back problems. Visit Ralph's website for Farewell Tour updates: drralphstanleymusic.com. 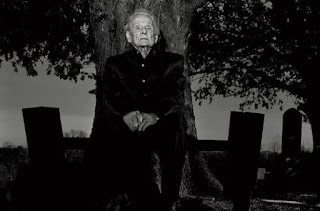 Of course, we all wish Ralph Stanley the best of years in his future. Banjoist, guitarist, bandleader, and singer Danilo Cartia (I) announces that the Danilo Cartia Trio will be playing bluegrass, blues, and other acoustic music tonight (Thursday 27 June) at the Frane Letterarie, Via San Martino ai Monti 7/a, Rome, from 22:00. Admission is free. When: these musical meetings are scheduled to the last Friday of each month. So the next jam will happen on Friday 28 June 2013. Sadly Chris Twomey of the Lee Valley String Band [IRL] recently died, and we send our deepest sympathies to his family, friends and the rest of the band. After a discussion it was decided not to go ahead with the Lee Valley String Band, who need time to grieve Chris and think about the future. We look forward to having them at another time. Meantime the Broken String Band [above] from Belfast have kindly stepped into the gap and we look forward to welcoming them back to Moniaive where they were such a big hit at our first festival in 2009. The Moniaive festival website features video footage of the Broken Strings in action. Paul is also presenter of the fortnightly 'Criffel Creek' radio show (see the EBB's separate 'Radio playlists' post). The only bluegrass festival in Belgium - (almost) no excuse is good enough to miss this!!! Get your cheap pre-sale tickets now online. - changing the listings to major events only: we will continue to list all festivals, picking weekends, and similar events. Tours and other small-scale one-off gigs will no longer be listed. You are more than welcome to post news of such gigs in the forum. - a greater emphasis on occasional, bigger updates such as major announcements, interviews, reviews, videos, etc. You can view the site through ukbluegrass.com or ukbluegrass.co.uk, and don’t forget to follow us on Twitter or like us on Facebook if you’re into social networks. Thanks for your support this far, and hopefully we’ll see you at a festival soon. The first post to appear on the new UKB is an interview with the Punch Brothers (USA). Thanks to John Lawless for sharing this interesting article! The Fête de la Musique, first held in France thirty years ago, is now a worldwide programme of free musical events on the summer solstice (21 June) each year. The Fête de la Musique is generally known in English as International (or World) Music Day, or as National Music Day in individual countries; there are also regional networks such as European Music Day. This provides another framework in which bluegrass music (among many other genres) can be more widely heard throughout Europe during midsummer, in 2012 and every year. The love:live music movement, presented by Music Network in association with RTÉ Lyric FM and funded by the Department of Arts, Heritage and the Gaeltacht, was launched in February last year as Ireland's part in the Fête de la Musique, and yesterday (7 June) a preview of this year's National Music Day was staged in Dublin. More than 200 musical happenings are already scheduled in Ireland for 21 June, including a day devoted to busking in Dublin city. Downhill Bluegrass Band hosts the 29th Torsåkers Bluegrass Festival, Swedens biggest festival, taking place on the 5-7th of July. This year's lineup features Hunnabee & the Sandy Tar Boys (US), Flats and Sharps (UK), G-runs and Roses (CZE), along with the best bluegrass and old time bands Sweden can offer. Roland White sends word that this long awaited concert recording is now available. Those of you who witnessed this premiere band during their 1973 European tour will no doubt want this CD in your hands and ears as soon as possible. For those too young to have had that opportunity in '73, this is a fine piece of music history for your bluegrass education. "The New Kentucky Colonels" included The White Brothers: Roland (the sole surviving brother who is still musically active today) on mandolin, Eric Jr. on bass, and legendary guitarist Clarence White; plus banjo player Herb Pederson. Naturally the playing was outstanding -- but their high lonesome vocal harmonies reach a quality level most performers can only dream about. Simply outstanding bluegrass music. From CD liner notes of Mary Katherine Aldin: Rarely has there been a bluegrass “find” like these recordings. 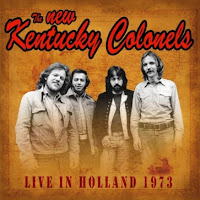 A never-before-heard concert tape of The New Kentucky Colonels recorded during a 1973 tour of Holland and then stored away for nearly four decades, these tracks sound as fresh and vital today as they did when they were originally recorded. The tour started in Holland in May 1973, and included several dates in England, Wales and Sweden. 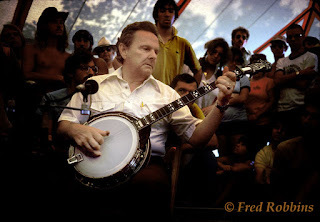 They returned to the USA to play the Indian Springs, Maryland bluegrass festival. A few short weeks later, Clarence was killed on July 15 by a drunk driver while he and Roland were loading equipment into their car after a gig in California. So this album contains some of the final recordings ever made of the three White brothers, playing bluegrass music together as they had done for most of their lives. From CD liner notes by Herb Pedersen: It was in May of 1973 when I was asked to play a musical part of the “New Kentucky Colonels” tour going to Holland and Sweden. As young as they were, I’ll never forget the talent they had back then. 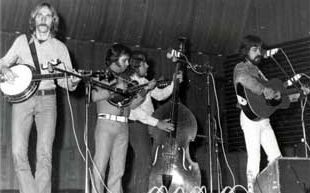 To be a small part of their musical history was a blessing for me and a wonderful introduction into the world of real bluegrass music. After working one year and two months with Bill Monroe and His Blue Grass Boys, and almost four years in Lester Flatt's Nashville Grass band, I got a phone call from my brother Clarence. He said the folk-rock group The Byrds had disbanded and would I be interested in getting our Kentucky Colonels group together again? Of course I would! But who should we call on to fill out the band? What about our brother Eric to play bass? Yes, he was ready and eager! Byrds' record producer Jim Dickson suggested that we call on Herb Pedersen to play banjo, and we had our band. We played the concert on this recording at Het Turfschip (a large concert hall) in Breda, NL. To play with my brothers again was a dream come true. We had played music together since the 1950s. When we got together again it was like taking an old clock out of the attic and winding it up and tick, tick, tick, it still runs perfectly! Clarence's flatpicking was fast, accurate, clear, and ballads soulful. His playing has influenced all flatpickers since he began being heard, and will for generations to come. Eric's bass playing is just exceptionally great. Then there is Herb Pedersen with his hard driving banjo and fabulous vocals. He blended like another brother. Because of his command of the high vocal range we were able to do some great trio arrangements -- "Is This My Destiny" especially stands out. I’m listening to it now and I’ve got goose bumps. Roland White at www.rolandwhite.com . First-Ever All-Europe Jam Camp in Prague a Success In Any Language! Pete Wernick introduced his Bluegrass Jam Camp to Europe March 22-24, with twenty-four pickers from seven countries converging for three days on the Hotel Svornost in Prague, Czech Republic. Having taught camps throughout the U.S. since 1980, Wernick saw this first Jam Camp in Europe as a forward step for bluegrass teaching. A big event in all Pete’s camps is the presentation of Jam Hero badges. At this camp, the first went to Chris Kealy of Great Britain, for stepping up when the first jam group formed to lead Worried Man Blues. Kealy made sure his accomplishment was well-remembered throughout the camp. Almost all campers stayed at the hotel, built in the 1930s and still a hub for entertainment and celebration events. The restaurant and pub rang with music and a convivial atmosphere for the weekend. 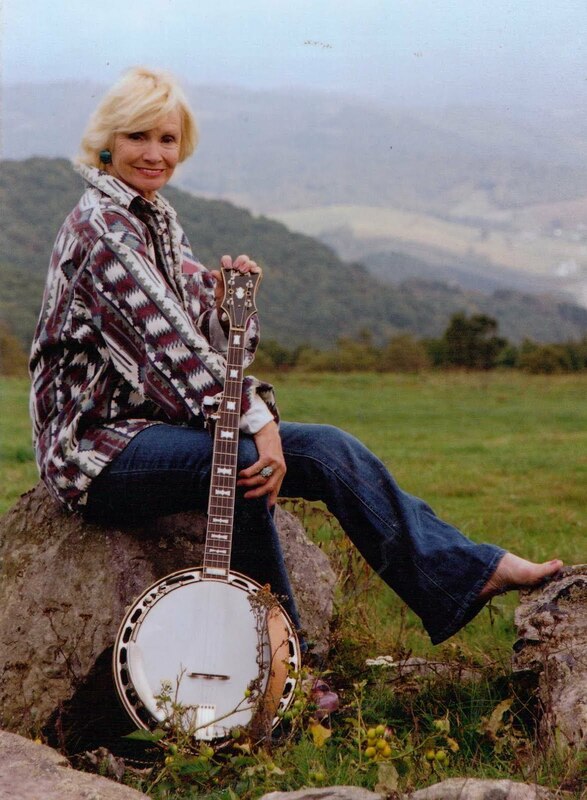 Wernick’s schedule in June includes performing and teaching at the Huck Finn Jubilee in California, the 40th annual Telluride Bluegrass Festival, and The Lighthouse Bluegrass Festival in British Columbia. Wernick Method classes are being conducted this summer at festivals and in communities nationwide. A full listing of camps and all Wernick Method classes is found at BGjam.com. The Bluegrass Festival, on 6th July on the "Grunderinseli" in Thun is located directly by the lakeside under beautiful trees. The festival, which will be taking place already for the 28th time, has without any doubt become a tradition. The Aare Valley Country Club is happy to present once again a fresh and family-friendly festival with lots of good music, enriched with the beautiful view of the world famous mountains Eiger, Mönch and Jungfrau, the location offers a great atmosphere. The organising commitee and the team of volunteers are looking forward to offer you a festival with great bands and food. In case of rain and bad weather there is an alternative location in the sports hall "Lachenhalle". Admission is free. No picnic. Sale of food and beverage are an important part of any festival and it is especially important for this festival too, because it provides the primary source of income. The region of Piemont in Virginia is the backdrop of musical diversity and interesting voices. Virginia based singer and songwriter Randy Thompson knows very well how to handle this heritage. You may call his music Americana or Country, Roots-Music or Americana-Rock, in the end it's simply Randy Thompson. It's the sound of an artist who is aware of his origin and where he stands in his life. It's the sound of the hills of Virginia. Randy picks out themes like war, freedom, love and fear. It is the beautiful and yet sad sound of the truth. The Black Barons were formed in 2007. Influenced by Carl Perkins and Johnny Cash, the Barons enhance their music with a fresh, lively and authentic note. The question about how their musical idols would actually sound like, is answered with self composed country and rockabilly songs which combine modern lyrics with classic rhythms. The scope ranges from hot-blooded rockabilly beats over sensitive ballads up to classic country and folk. Acoustical interpretations show some more facets of this kind of music. Active since 1978, Red Wine is one of the leading bluegrass bands in Europe. They play the style of traditional and contemporary bluegrass und country music. Red Wine plays all over Europe (Italy, France, Switzerland, Germany, Ireland, Netherlands Czech Republic and Austria) at most important international festivals and events. Since 1995, they have performed on big European and American stages, together with well known US-Artists. They have had performances on TV and radio shows and have brought out four albums. The Sunny Mountain Grass Band plays from traditional bluegrass to new acoustic music and self made compositions. They are well established in Europe, showing a strong presence on stage. Presently, they are working on their third album. A real Swiss band! Connaisseurs of bluegrass anxiously watched as two-thirds of The Lovell Sisters left the mountain music to pursue Larkin Poe a few years ago. With musician friends playing more blues than bluegrass for years, Larkin Poe was a crooked folk rock band that spent a long time trying to figure out soul. Last year's Thick as Thieves showed that Lovell sisters had suddenly seen the light, suddenly melodies and the exciting mix between blues, folk and Americana came into place. The girls with the band delivered a fantastic concert at last year's Troll Rock on Beitostølen, which only further reinforced the impression that Larkin Poe had something going on. During Larkin Poe Valdres visit they said they collaborated with Thom Hell. Now the album is finished. Larkin Poe's strange and crooked but beautiful melodies with Thom Hell's amazing ability to create catchy pop songs where blue is chosen as a base color, has become an unbeatable combination. Although cooperation is the foundation through the album there is still no doubt who guides the ship on the different tracks. Opening tracks "I belong to love" and the darker "Shoulder to shoulder" is Larkin Poe from A to Z. The girls' ability to create catchy songs that are not really catchy gives the listener a lot of excitement and fun to chew on. "PS I love you" (not the Beatles song) is an ancestral treat that drives the album forward to a lovely Thom Hell Department and in many ways enhances the quality of the album, while it is important to remember that he writes music in an entirely different way than Lovell sisters. Thom Hell "As good as you" and "Missing you" are without exagerating some amazing songs where the sisters help with the choir and of course Megan Lovell characteristics dobro games. The album was recorded in the ocean sound studio at Giske outside Ålesund. This convention meeting between American fjelmusikk and Norwegian music from the shoreline was, mildy spoken, a great success, no doubt! "Am I in Virginia? In Tennessee? Or in Kentucky? ", it is the question that Jackie Perkins, American musician singer-songwriter in Sarzana asked herself at the end of the evening gig that concluded the first Italian Bluegrass Meeting held in Liguria. "I think anyone who had closed his eyes - said the singer-songwriter - and listened to the concert without knowing where he was, could wonder 'in which state of the US are we?' And once realized he was in Italy he would have incredulously appreciated the beauty and the close resemblance between the music just listened and the original one." Great success of the first Italian Bluegrass Meeting held on Friday May 24 in Sarzana. It was part of the 16th Acoustic Guitar Meeting, an international event dedicated to the acoustic guitar. Many emerging and professional bands, and several artists from many Italian regions were present despite the uncertain weather that was mild enough to allow also a great audience participation. The Bluegrass Truckers, The Band Likewise, The Country Owls, The Horny Brothers, The Tumbleweeds, The Funny Mountain Boys and all the other musicians performed on the moat stage. From 11 am to 7 pm artists of all ages had the chance to meet, discuss, and perform with their own band or joining other bands coming from di erent places. The technical workshop dedicated to mandolin and banjo held by Martino Coppo and Silvio Ferretti in the late afternoon was also much appreciated, and gained involvement and participation. There were also many opportunities to learn about the other typical instruments of this music, such as violin, guitar and double bass. At the end of the evening gig, the Italian Bluegrass All Stars band took the main stage. Danilo Cartia, lead vocal and 5-strings banjo, Massimo Gatti, backing vocals and mandolin, Leo Di Giacomo, lead vocal and guitar, Anchise Bolchi, lead vocal and violin, Icaro Gatti, double bass, o ered an enthralling performance. Then, at the end of the gig, a surprise for the audience: Marco Pandolfi, Michele Anselmi, Paolo Monesi, Riccardo D'Angelo, Silvio Ferretti, Martino Coppo, Paolo Bonfanti, Max De Bernardi reached the stage as special guests to take part to a big jam session. They were all important musicians, some of which have been working to spread bluegrass music in Italy. And it was Tennessee in the heart of Liguria, just as Jackie Perkins said. "The Bluegrass Meeting in Sarzana was an event that has no precedent in Italy" - is the comment of Danilo Cartia, the author and organizer of the event – "and that was greeted with much enthusiasm. I hope it is the starting point for a new space and a new place dedicated to this genre. We can do more, and we will do even more."